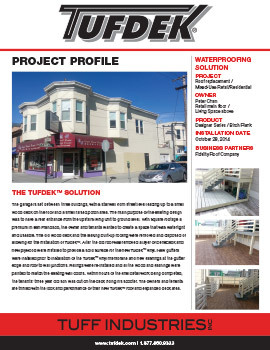 Project profiles help demonstrate the depth of knowledge and experience of companies who have decided to become Authorized Dealers for Tufdek™ Waterproof Vinyl Decking products. 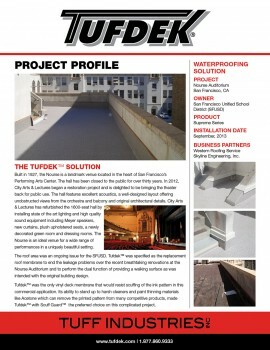 Our Dealers fully understand Tufdek Waterproof Vinyl Decking technology. 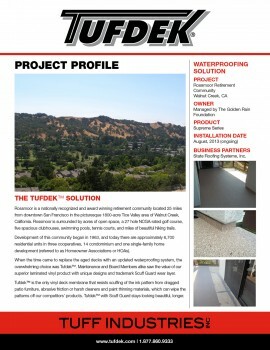 Tuff Industries has elected to highlight some of our Tufdek dealers’ work as Project Profiles. 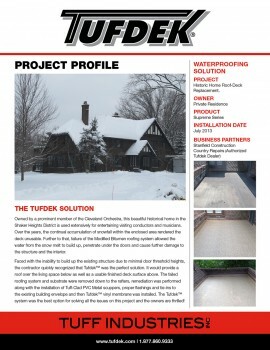 We hope to grow this category throughout the coming years, demonstrating to the design and construction community the numerous possibilities for using Tufdek Waterproof Vinyl Decking products. 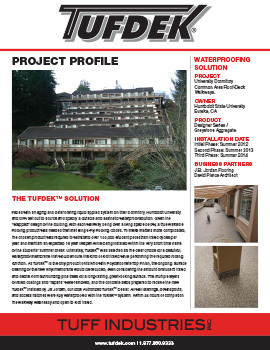 We are proud to showcase a small number of these projects enabling you to see the complexity of the work our Dealers do every day.